A few years ago I attended a conference in a golf community, and I remember gazing out of the window marveling at the lush rolling green, weeping willow trees, and thought those golfers had it made. These guys were living and breathing a love of the game with the course literally in their own backyards. Whether you’re an avid golf enthusiast, or you’ve chosen a 55+ golf community for the ambience, and beauty, your friends and family will wonder why they didn’t think of it first! When purchasing a home in a 55+ golf community, stunning fairways, and manicured landscaping is a major bonus, but everyone has HOA fees. The upside to enjoying the greenery, is you don’t have to maintain it yourself, but becoming part of an association places restrictions on exterior modifications including landscaping, satellite dishes, or using your own golf cart vs one owned by the HOA. Before signing the dotted line, carefully read the bylaws, and regulations to know what to expect. Dreaming of buying prime real estate close to the action? A 55+ golf community may fit the bill. From coast to coast, active adult communities with golf as a primary amenity offer home styles from manufactured to single family floor plans. Homes in these communities are not only coveted for their views, but most offer a variety of exciting features like beautifully constructed clubhouses, fitness amenities such as tennis courts, and pools, and fine dining perfect for after game refreshment. Generally homes in a golf community hold their resale value, particularly those boasting big name designers like Robert Trent Jones, or Jack Nicklaus. Championship designed golf communities such as these make them highly sought after by boomers, and retirees ready to take their love of the game to the next level. Birds of a feather flock together, and so do those who share a passion for the driving range. 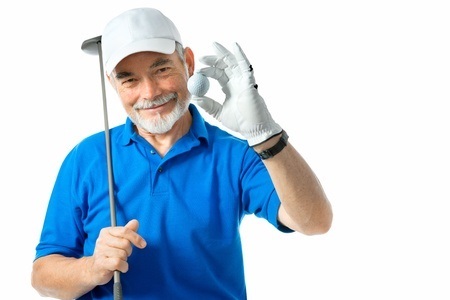 Making new friends with fellow age peers is the focus of a golf community lifestyle, and even if your idea of tee time is cocktails on your veranda, why not invite the neighbors? 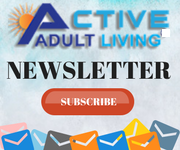 Many 55 or better will say their social calendars have never looked better since joining an active adult community. Retirement living means more time doing what you love, and what better way to take advantage of your golden years than indulging in your favorite hobby? An active golf community offers residents the chance to exercise their best swing, with beautiful locations to choose from across the country.